This new faction will focus on controlling the seas and spreading chaos on the lands thanks to a better control of the seas using special units, mind control powers and the “Black Spot” curse cast on their enemies. Naval battles for everyone! Players will finally be able to battle on the seas. 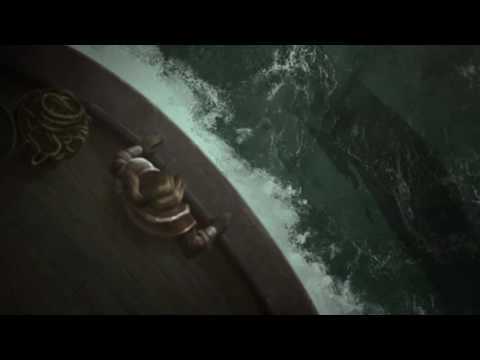 All seaborne units can instigate and reinforce sea battles. Exotic mechanics and tile effects spice up this new type of battle! 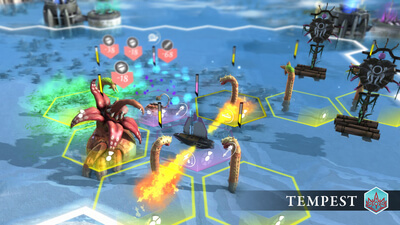 Arcane structures have emerged from beneath the waves: these Endless relics provide strategic and luxury resources as well as other bonuses to the empire able to control them. To do so, their mysterious guardians must be parlayed with or defeated in battle. The same guardians will patrol “wild” ocean regions, making them a lot less safe to cross without convoy. Expect clouds, rain and storms to appear on your map. 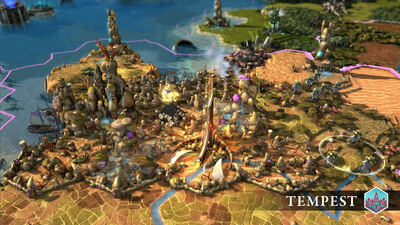 New generated ocean regions, including a Sea Fortress, offer strategic locations in the water for players to battle it out. These new locations will be protected by a mysterious, seldom-seen minor faction that lives in the fortresses across the sea. This expansion also includes more than 50 new quests, over 60 new special items and 4 new music tracks produced by FlybyNo! While this may not come as a surprise, the Tempest expansion has added a lot more *ahem* depth, with its sea-focused expansion. It wastes no time getting to the good parts, and keeps you engaged while you're there. I mean, what other game will let you be a grotesque sea-pirate bent on conquering the planet? 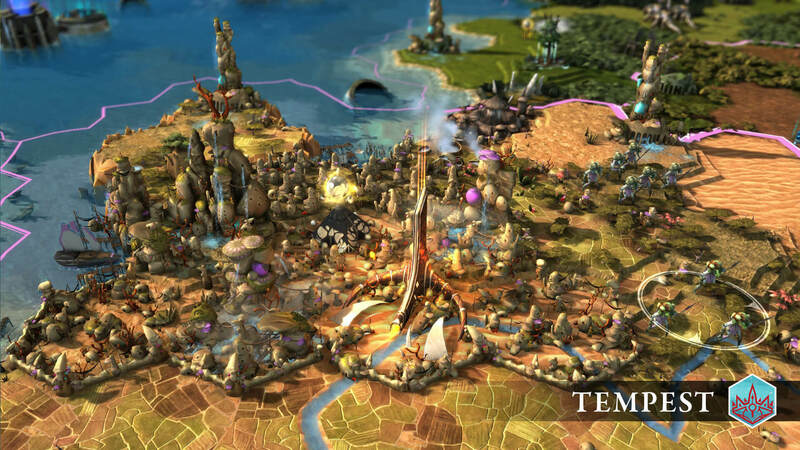 A lovely farewell to the most innovative 4X Game in years, reworked mechanics and more depth makes Endless Legend now a fully complete package.